OK, I'm Interested. How Do I Connect? MUDs (Multi-User Dungeons) are text-based online multi-player games that trace their origins to the late 70s. MUDs usually have a fantasy theme, and combine hack-and-slash and role-playing gaming with a lively chatting environment. 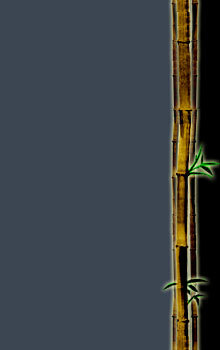 The distinctive property of MUDs is the game world, which is presented to players as a collection of textual descriptions. Any imaginable feature can be described this way, such as virtual items, places, creatures or in-game events. Likewise, players control their actions by typing short, English-like commands. Many players can participate at the same time; the interaction between players is immediately reported by the game, again in the form of text. MUDs are comparable in game structure to modern graphical online games, such as World of Warcraft or Everquest. Take away the fancy graphical interface, and the core is, at heart, quite similar to the structure of a MUD. MUDs date back to the very origins of computer gaming, developed on that era's hardware which could only display text. So why are MUDs still played today, in the age of powerful 3D graphics and beautifully rendered 3D games? Ironically, the answer might be that the text format is interesting because it is different than the modern graphical games. Indeed, MUDs provide a quite unique gaming experience, where one relies much more on imagination to picture the game's virtual world. Furthermore, MUDs usually offer their players the opportunity to become in-game developers, where they can help expand the game world. This is possible in part because only minimal coding skills are required, along with a rich imagination and willingness to turn it into words. MUDs are extremely easy on computer resources. They don't require latest 3D cards and processors to squeeze out every last frame per second. All that is needed is an Internet connection, and a simple text game client which won't use much memory or slow down the computer for other uses. As a result, it is convenient to play the game alongside other applications or on the road from other computers. Moreover, the response to various player commands is almost instantaneous, limited only by the speed of the Internet link. MUDs today occupy only a tiny niche of the gaming universe compared to the top online multiplayer games, and their millions-strong playerbases. The typical number of players of a MUD lies between hundreds and many thousands. It turns out, however, that this small size of the player base helps create a closely knit and long-lived community, unlike on the large games. Indeed, on Tsunami in particular many active players have played longer than 10 years, and have stuck around even as they advanced their degrees, careers and personal lives. Yet another positive feature of Tsunami is that it is free! There are no monthly subscriptions or donations required to play, regardless of time spent in the game, or even in order to gain the status of an in-game builder. And finally, last, but not least reason to play Tsunami is that it is just plain (text) fun! When the right mix of players log on, and the fighting starts, there is no end of new strategies to try in order to gain an upper hand in the exhilirating battle of skill. For the more peaceful types, there are numerous quests and puzzles to solve. We hope that you can enjoy playing this game as much as we have had developing it! Similar to many role-playing games, on Tsunami one controls a character that gains experience points and advances in level, giving it more power and ability. This experience comes mainly from fighting and defeating the multitude of enemy creatures that pervade the MUD. There are numerous classes one can specialize their character in, such as fighters, mages, thieves, clerics, and many more described elsewhere on this Web site. The world of Tsunami is organized into "rooms," which are each described by few paragraphs of text. The rooms connect to each other via "exits," which mostly lie along main compass directions such as "north" or "south." In this way, a grid of rooms can model a large area in the virtual world. Players move between rooms by typing these geographic directions. Within rooms, players read the room descriptions and then more closely examine various features found therein. Often there are secret rewards hidden inside rooms. Moreover, many rooms are parts of "quests," or in-game puzzles that may span large areas of the game. Rooms usually contain various creatures and monsters, which the players can choose to fight to gain experience, or interact with to advance in certain quests. It is, of course, possible for more than one player to enter a single room. At that time, the players can interact, chat, play out certain gestures, or even fight each other in a test of skill. The fighting between players, or "player-killing" in game-lingo, can be a supremely rewarding and challenging activity just like in mainstream online games. At the highest levels, gameplay can become quite engaging and challenging, especially in fights against other players. On the tactical side, players may need to react quickly to avoid certain death. On the strategic side, players must carefully consider the best way to build their characters in order to gain maximum advantage. At the same time, it is useful to be familiar with enemies' characters in order to best exploit their weaknesses. When using any of these clients, configure them to connect to tsunami.thebigwave.net, port 23. Connect using the Web client available by clicking on the "Play Now!" link on the left-hand side, or by clicking here. Connect using telnet - a very basic terminal software. Telnet is available by default on all versions of Windows except Vista, and on all major distributions of Linux. As such, no downloading or configuration is needed, just the command telnet tsunami.thebigwave.net. On Windows, one can type this command into the Run dialog available on the Start menu; on Linux, one must first open a terminal window such as xterm or gnome-terminal. Telnet is relatively feature-poor, so it is only good for short gaming sessions. The second step once the MUD client is up and running, is to log into Tsunami. At the main screen's Username prompt, type a desired nickname you would wish your character to be called. If the nickname is not yet registered, you will be prompted to confirm it, choose a password, and then enter the game proper. You are in your first room! Type 'look' to see the room's text description. In this particular room, the description is actually a player guide which will help you start developing your character and get you on your way to adventuring in the game's wild realms. You can also access the extensive in-game help system from the left-hand side links on this page. 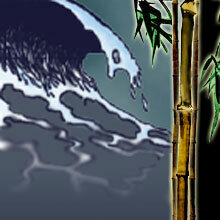 We thus conclude this introduction to MUDs and Tsunami, and hope you enjoy this classic game!